How inspiring, how emuna-strengthening, to here this young cancer patient singing, “sometimes in my tears I drown, but I never let it get me down, so when negativity surrounds, I know some day it’ll all turn around…” I rewinded the song over and over to listen to Luke singing that line, tears streaming from my eyes, and a new spark of hope in my heart for Nachlaot. 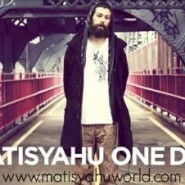 A side note: Some eyebrows raised over here at JewishMOM.com to see that Matisyahu’s beard has returned. What was all of that twitter hullabaloo from a few weeks about after all? Amazing! Beautiful! Thanks so much!!!! I couldn’t stop crying. It’s so moving how this child who has been though so much is so positive. May he have a complete refuah shlayma. That is Mattisyahu singing with Luke?